Have you longed for victory over sin, for sanctification, holiness, Christlikeness, purity, and perfection of character? It is included in the "all things" of this verse. And don't try to reason away the words and make them say something besides what they say. I repeat that this is a signed check from God drawn on the mighty, inexhaustible resources of the bank of heaven. God tells us to fill it in as to the amount. It is already signed and certified by Him. What a promise! But you might ask, "How is this check to be processed?" The next verse explains the cashing procedures. "Whereby are given unto us exceeding great and precious promises: that by these ye might be partakers of the divine nature, having escaped the corruption that is in the world through lust." Verse 4. Many professed Christians cannot muster the faith to believe promises like this. They prefer to believe that our fallen natures are just too depraved to ever be totally victorious over sin, even through the power of the gospel. What a tragedy! They have to trust the words of Scripture to mean something besides what they actually say. In essence, they are magnifying the power of Satan over the power of God, and making it impossible to ever fully stop sinning. Now consider with me one of the most extraordinary promises found anywhere in the counsels of God. "That he would grant you, according to the riches of His glory, to be strengthened with might by His Spirit in the inner man; That Christ may dwell in your hearts by faith; that ye, being rooted and grounded in love, May be able to comprehend with all saints what is the breadth, and length, and depth, and height; And to know the love of Christ, which passeth knowledge, that ye might be filled with all the fulness of God." Ephesians 3:16-19. If you feel that nothing could make this text more fantastic than what we have already observed, take another look. Two more little words in the verse make it the most astonishing in all the Bible - "or think." Not only will He supply "exceeding abundantly above all" we can ask, but even above all we could imagine in our wildest dreams. Unbelievable! Sometimes we have deep spiritual longings which are too intense to express. We fear it would be presumptuous to even utter the words. Yet, our loving God desires to surpass the most profound reaching out of the soul for spiritual help. We stand awed and ashamed in the light of His extravagant provision for our needs. What a Saviour! At this point it would seem wise to read the Bible definition of the Spirit's sealing work upon the soul. One of the shortest and most succinct descriptions is found in Ephesians 1:13, 14. "In whom ye also trusted, after that ye heard the word of truth, the gospel of your salvation: in whom also after that ye believed, ye were sealed with that holy Spirit of promise, which is the earnest of our inheritance. " There it is in four simple words! The sealing or filling of the Holy Spirit is the "earnest of our inheritance." What does that mean? What is our inheritance? And, what is an earnest? In other words, through the divine anointing of the Holy Spirit we may now begin to experience a measure of that quality of life which is designated in the Bible as "eternal life." What an exciting concept! Please keep in mind that we are still only talking about an advance deposit on the real thing, and heaven itself will be far in excess of anything we can experience here. But what is the purpose of this baptism of the Spirit's power? We often hear it spoken of as the "times of refreshing," the anointing, the latter rain, or the promise of the Spirit. The Scripture often uses the Middle Eastern terminology for the seed-sowing and harvesting. Soon after planting, a seasonal rain provided moisture for germination and initial growth. This was called the "early rain." Later, near the time for harvest, another copious watering was referred to as the "latter rain." Biblical writers adopted these ex- ressions to describe the visitation of the Holy Spirit upon the church in a dispensational sense. The "early rain" came at Pentecost to give impetus and vigor to the inaugural witness of the gospel. Another such prodigious outpouring is scheduled near the reaping of earth's final soul harvest, just prior to Christ's return. 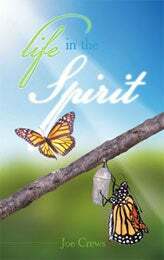 What do we have to share from our personal experience which merits the mighty witness of the Spirit of God? I'm afraid that too many of God's people need something to tell more than they need the power to tell it. They already have all the power they need to tell about their defeat and discouragement. One of the clearest texts in the New Testament gives an exact description of what we are required to know and experience before we can qualify as a Spirit-filled witness. The amazing mandate laid down in this verse identifies the only group who will receive the latter rain. "That the blessing of Abraham may come on the Gentiles through Jesus Christ; that we might receive the promise of the Spirit through faith." Galatians 3:14. One such promise is found in 1 John 1:9, "If we confess our sins, he is faithful and just to forgive us our sins, and to cleanse us from all unrighteousness." What an unrestricted assurance! But how do we know that forgiveness has taken place? Only through faith in the promise. Like Abraham we must accept the Word of God as already accomplished, just because God said so. We refer to that faith transaction by the theological name "justification by faith." It simply means that through repentance and confession we have been forgiven for all past sins, and have entered the new born-again relationship. Now the question: Is this experience of justification by faith the same as righteousness by faith? The answer must be no. It is only a part of righteousness by faith, and so the two things are not exactly equivalent. The truth is that we all need more than just forgiveness for the past; we need power for the future also. There are more promises in the Bible, and they apply to victory over sin. For example: "Now unto him that is able to keep you from falling and to present you faultless before the presence of his glory, with exceeding joy." Jude 24.